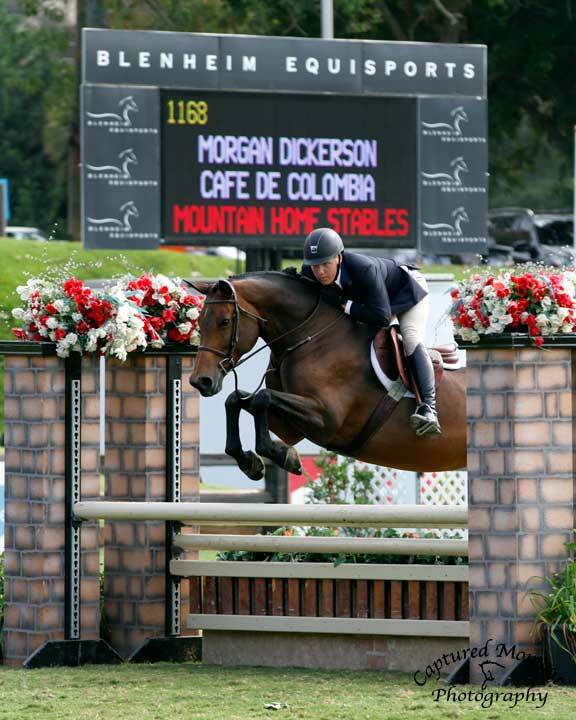 Morgan Dickerson and Quieri are ready for the Maclay Regionals. Pasadena, CA – August 1, 2015 – Morgan Dickerson, 18, of Pasadena, CA, is taking his riding career seriously, all the way to the medal finals. 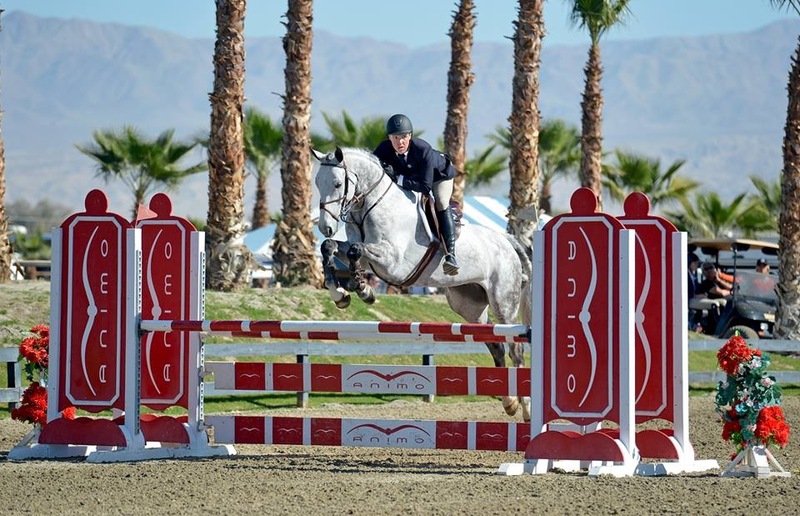 This year, Dickerson is having a whirlwind season, which includes the FEI North American Junior and Young Rider Championships, West Coast Junior Hunter Finals, the George H. Morris Gladstone Program and the Medal and Maclay Finals to name a few. In the equitation ring, Dickerson is already qualified for the USEF/Pessoa Medal Finals and the ASPCA Maclay Regionals on his mount, Quieri. He also currently stands fifth in the WIHS West Coast standings. The next two weeks Dickerson will spend most of his time preparing with trainer Karen Healey for the Maclay Regionals. 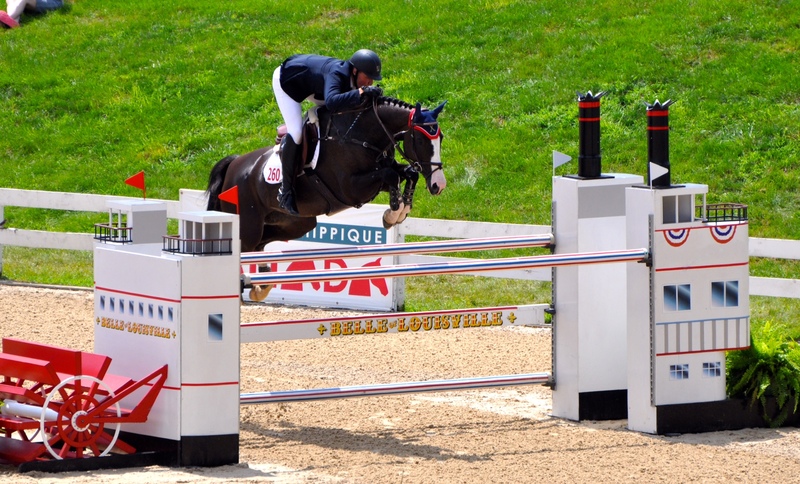 His preparation will include countless hours of no-stirrup work and competition at the Oaks Blenheim Equisports. In 2014, Dickerson was in the top ten in the regionals and hopes to use his experience from last year to move into the top placings this year. 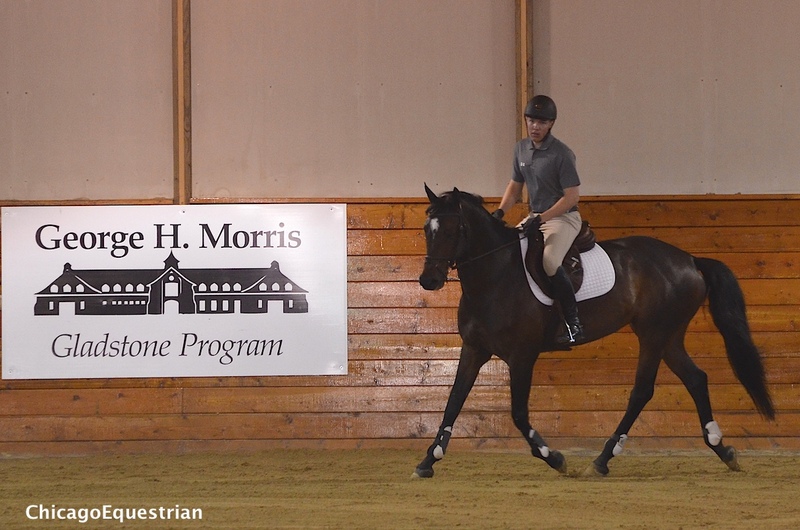 Morgan Dickerson fine tuned his flat work skills with George Morris and Anne Kursinski during the Gladstone Program. Photo Chicago Equestrian. In June, Dickerson was selected by George H. Morris to attend the Gladstone Program at Annali-Brookwood Farm in Antioch, IL. Dickerson borrowed professional grand prix rider Liz Atkins’ mount, Undine, to participate in the week-long program. He was able to work with top instructors George Morris and Anne Kursinski, top farrier Bill Liggett, stable manager and champion hunter rider Jennifer Alfano, Olympic veterinarian Dr. Marvin Beeman, barn veterinarian Dr. Mark Cassells, technical advisor and Gladstone organizer Diane Carney, media professional Brenda Mueller and conformation expert Dr. Deb Bennett. The entire experience has allowed Dickerson to up his game and advance his career. Morgan Dickerson and Liz Atkin's Undine complete the Grand Prix of Brookwood during the Gladstone Program at Annali-Brookwood Farm. Photo Chicago Equestrian. Morgan Dickerson and Cafe de Columbia were the Overall Reserve Champion Large Junior Hunter 16-17 at the West Coast Junior Hunter Finals. Photo Captured Moments Photography. 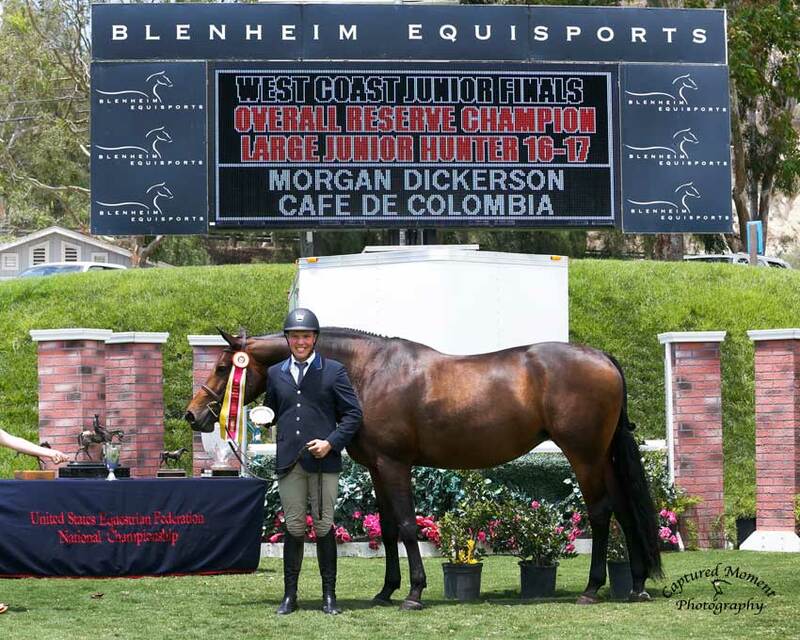 Recently, Dickerson competed at the West Coast Junior Hunter Finals where he piloted Café de Colombia, owned by Mountain Home Stables of Woodside, CA, to the Overall Reserve Champion Large Junior Hunter 16-17. The duo also clinched the Small Collection Trophy for the top placing mare. Dickerson and his junior jumper mount Balou Blom, traveled to Kentucky in July for the North American Junior and Young Rider Championships, where he competed as the alternate rider for the Young Riders A Team for Zone 10. Dickerson and his mount also qualified for the individual and championship rounds. 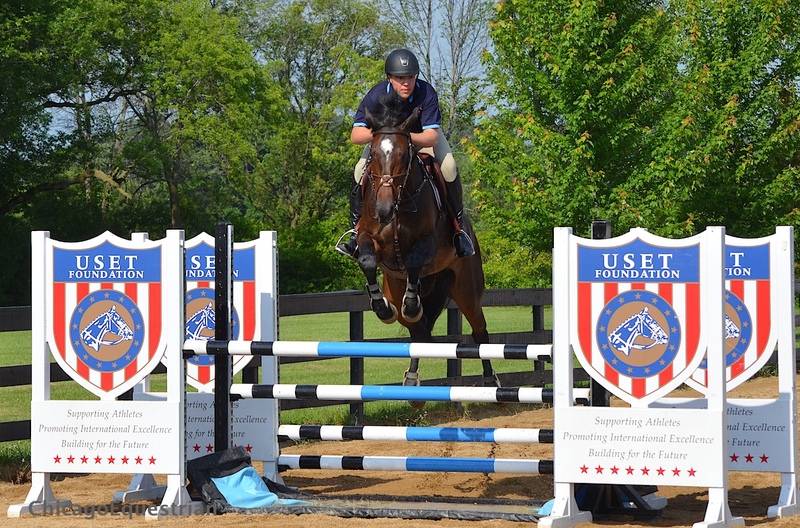 Dickerson is working toward the Prix des States competition at the Pennsylvania National Horse Show this fall. Dickerson’s long-term goals are to compete in Europe and other international competitions as well as to represent the U.S. in some team competitions. His short-term goals this year include qualifying for the ASPCA Maclay finals at the Region 8 regional finals again, competing in the USEF/Pessoa Medal Finals at the Pennsylvania National Horse Show and the West Coast USEF Talent Search Finals September 16-20, 2015 at the International Jumping Festival-Blenheim.